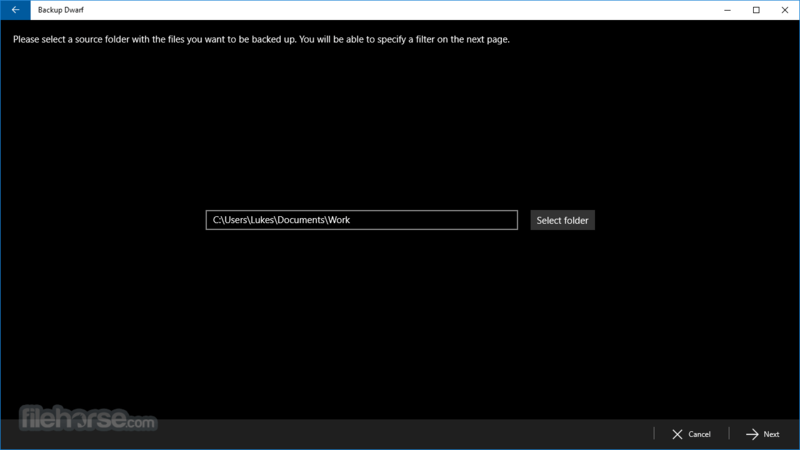 Backup Dwarf does encrypted backups to OneDrive, Google Drive and Mega.nz clouds keeping your files secure and secret. Backup Dwarf is a smart automatic backup software for Windows that will periodically archive all your documents, project files, pictures, music or video files into a zip format so you can restore them at any time on any computer. Schedule can be setup on a daily, weekly or monthly basis. For weekly and monthly schedules several days of week or month can be setup. There is extensive number of include and exclude filters available so you make sure you only archive the important files. To save disk space you can setup an incremental backup type so Backup Dwarf software will only store new or modified files with each schedule. You can choose the same or different drive as a place to store backups, but it is best to store them on a shared network folder or a remote FTP server. If you are using Network Attached Storage or a company shared server then Backup Dwarf is right for you! Download size is only 4MB. 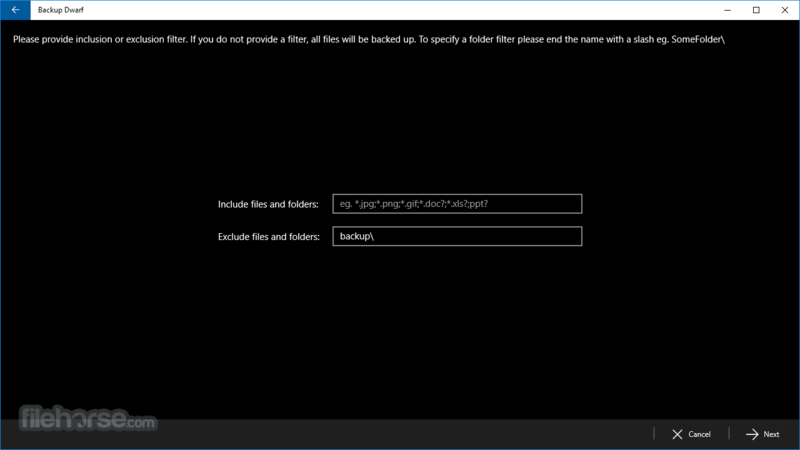 The backup archives are encrypted before they are sent to the cloud storage meaning only you have access to your data. The password for the archives are only known to you. Also the transmission to the cloud is through the encrypted channel. We have no access to your files. Backup files are stored in standard ZIP archives that can be extracted on any PC. ZIP format is a well known and established compression storage used by millions users around the world. Backups are performed everyday at the time you setup and can be either Full or Incremental. 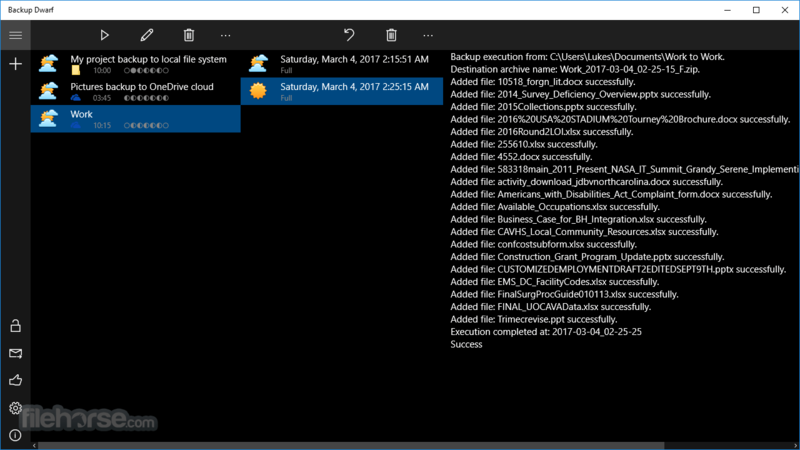 Full backups will always backup all your files while Incremental backups will only store the files modified since the previous backup execution saving your cloud storage. Cloud storage cannot be physically stolen and you have access to your backups from anywhere, not only from your home or work. It is also stored in multiple locations around the world making sure your data is never lost. 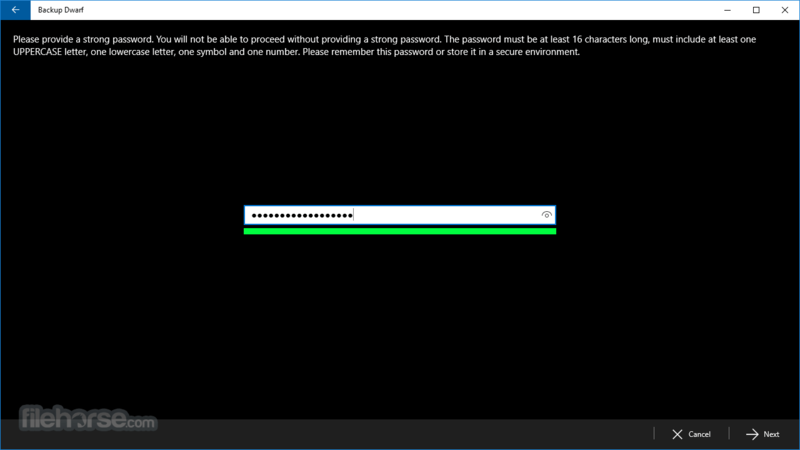 All archives are using the strongest AES-256 encryption and the password you choose is forced to be a strong one. Backup Dwarf is supported by KRKsoft on the following editions of Windows 10 – Windows 10 Pro, Windows 10 Education, and Windows 10 Enterprise. 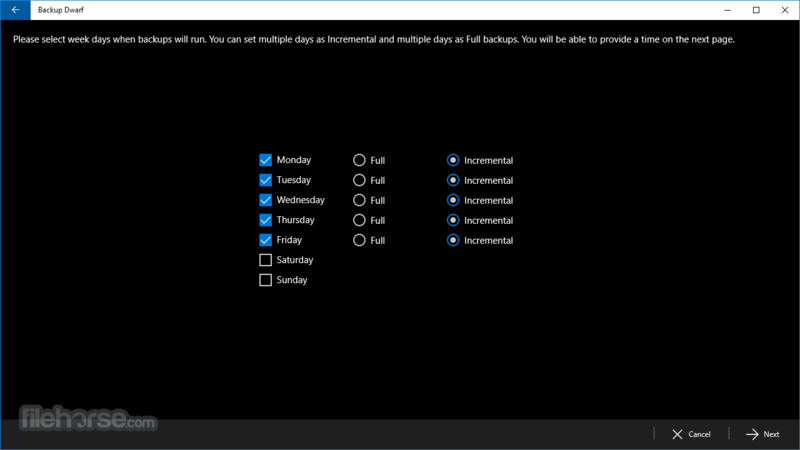 Backup Dwarf is supported on the in-market supported servicing branches of Windows 10 including - Current Branch, Current Branch for Business and the following Long-Term Servicing branch - Windows 10 Enterprise LTSB. Currently OneDrive, Google Drive and Mega.nz clouds are supported. Google Drive and OneDrive are offering free 15GB storage for your data, while Mega.nz offers 50GB of free backup storage. More clouds will be added on demand.